The Campus Police Department works with all members of the campus community to preserve life, maintain human rights, protect property, promote individual responsibility and fulfill our community commitments. We encourage and seek diversity in our workforce, which permits us to grow and respect each person as an individual. We are committed to community-oriented policing whereas campus police and community mobilize to address a wide-range of incidents, crimes, and emergency crises as well as the conditions that cause such events and effect daily operations in addition to the quality of life. We are committed to addressing alcohol and drug prevention along with other social problems that would disrupt the enhancement of campus life, as we strive for a safe, secure, healthy, and clean environment. 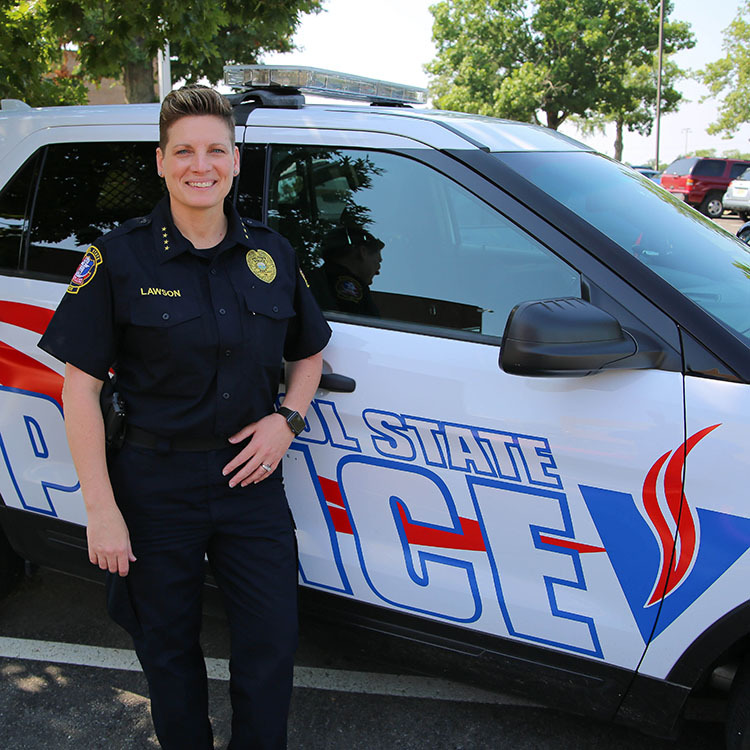 The Vol State Campus Police Department is an independent law enforcement agency who is responsible for providing police and security services for the Gallatin, Highland Crest, Livingston, and the Cookeville Higher Education (CHEC) Campuses. The department consists of full-time and part-time patrol personnel which includes sworn and non-sworn officers. The department also employs a full-time administrative assistant and two full-time dispatchers. At the Gallatin campus, police officers are on duty 24 hours a day, seven days a week. If you have an emergency, please call *0 from an on-campus telephone or (615) 230-3595.